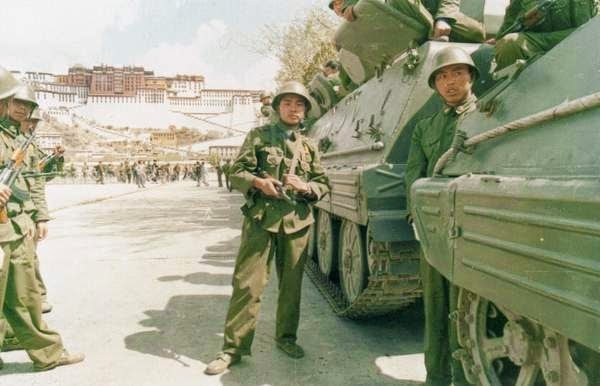 On March 7, 1989, as a response to two days of protests and riots, the Chinese Prime Minister Li Peng declared martial law in Tibet's capital city Lhasa. Under the martial law, People's Liberation Army moved in and quickly suppressed the protests. It is not clear how many perished in the process. The Chinese government announced that a dozen people died. New York Times reported an unofficial number of 75 (and later cited a Chinese journalist who claimed that more than 450 died). This is the first time martial law was imposed in China since the chaotic Cultural Revolution. But it failed to garner attention both inside China and abroad. The martial law was finally lifted on May 1, 1990, more than a whole year later.